- Hello, welcome to Transformation Tuesday, happy Tuesday, guys, welcome aboard. Give us a shout-out, as you're jumping on. I hope you're doing well. Tonight is a powerful episode on how do we upgrade, I call them standards, but, whatever you want to call them, I just call them standards, how do we upgrade our standards, our benchmarks across our whole entire life. Hey, Dora, how you doing? So, I'm more looking at the specifics, about how do we upgrade our standards, how do we upgrade our benchmarks for how we choose to live? How do we live by standards of excellence? How do we stem from a place of heart space, and spirit when we're enforcing this, or living by this, so that we don't beat ourselves up? And also, how do we get more and more specific around how do we actually live this, in terms of practical, tangible tools, and turn this into a way of living? Hey, Dora, hope you're doing well. Hello, guys, and welcome. Let's dive straight in, how do we hack our standards? And I'd love to know from you guys, if this is something you've looked at before. Let me know if you've actually looked at standards. Have you looked at what are your benchmarks for how you choose to live your life? What are the, what are the, if you like, what are the sub-goals, what are the daily goals, what are the daily benchmarks that you're aiming for? Now, I'm going to give you some examples, as we go through here, so we know what we're talking about, when we're talking about benchmarks. First of all, we're talking about what are those targets that we're looking to hit? Now, I'll give you some examples of benchmarks that I've got. I've got benchmarks for the amount of water that I want to drink each day. I've got benchmarks for my hourly meditation process that I do. I've got benchmarks for my morning ritual. I've got benchmarks for health and nutrition. I've got benchmarks for the amount of, for the amount of supplements that I have each day and each week. So these are some examples of benchmarks. I've got benchmarks on how much sleep I get. Alright, so I've set a bedtime when I go to bed, so that I know I get enough sleep. Another example, the number of times I exercise during the week, another benchmark. Typically, I want to exercise every single day, that's a benchmark I've got, is setting myself a benchmark of exercise or movement every single day. This is a powerful topic, this is a powerful subject, where we can get clear on our benchmarks, on our standards, to how we choose to show up in life. This becomes a really powerful way of, essentially, upgrading all the different areas of our life, because we now have specifics, we now have something to hold ourselves accountable to. We now have a recipe, we've got a philosophy for how we want to do our life. So this is a powerful topic, and when you can start to implement benchmarks and standards across all the different dimensions of your life, and start to document them, and be conscious of them, you started to create almost like a, I don't want to call it a rule book, because rule is too, too regimented. But it kind of is like a recipe for creating success, because when you set what those standards are for your life, you have something to live by. You can live by principles, you can live by benchmarks and standards, as opposed to living by fluctuating emotions. You can live by principles and guiding philosophies, rather than, oh, do I feel like doing this today? I would suggest a much more empowered way to live, is to live by principles. Hey, Dora, good to see you. Live by principles more than to live by the fleeting motivation that we have in the moment. And I'll touch more on that, as we go. I just got your question here. How is a benchmark different to a goal? They're very similar, so, just a very subtle difference. A benchmark, meaning a standard that you want to introduce consistently. So it's about consistency, whereas, a goal can be more of a one-off. So a goal is something out there in the future, it is like a project, or some kind of outcome. Whereas, a benchmark is a little bit more specific, a benchmark is more around, well, what's the level of excellence that we're aiming for? So imagine that, you know, a benchmark is maybe a metre of a hundred down to zero. Now, how you show up in an average day, your benchmark for how you're showing up, if you're showing up with an incredible amount of intensity, with living your values, being congruent, being aligned, then you might rate yourself as 100 out of a 100. So that would be a benchmark of how you set the attitude, or the philosophy for how you want to live. So that would be a, it's almost like a scalable, quantifiable, measurable process that we're now using to turn what's essentially an invisible process of upgrading your life into a very visible, very tangible process. It's setting measurable, measurable levels, if you like, to assess how are we doing in a lot of the consistent areas of our life. So that's the difference between a benchmark and a goal. Sorry. Hey, Paul, hey, Monica, good to see you guys here. So, we're talking about standards and benchmarks. We've given you some examples of the types of standards, or some examples of standards, and some examples of benchmarks. Now, you can come up with your own. I encourage you guys, if you guys have benchmarks of your own, please, I'd love to hear what you've got. Hey, Monica. Please, if you have standards around the amount of sleep you get, the amount of hydration, the amount of the quality of the food that you eat, the amount of time that you spend with your friends or your family, these are all categories of benchmarks. And the more specific that we can get, without having attachment to it, and I'll talk more about this in a moment, without having attachment to it, I meaning if we don't hit those benchmarks, we don't necessarily need to judge ourself, this is not the point. The point of this very early phase of defining what are our standards, and what are out benchmarks, is for the purpose of getting clear on, well, what is a version of excellent, or a version of high-quality, what's the degree of excellence that I want to subscribe to in my life? Now, I recommend that we don't necessarily have to go all in, and seek perfection in every dimension of our life. In fact, I don't recommend you do that, because it's the fastest way to kill your motivation. What a do recommend you start to introduce, is little elements of standards of excellence, so that you can build yourself up. Well, what do I mean? Well, for example, for me, all I have now is a standard of excellence around meditation. So for me, I have a daily practise of meditation, I have multiple types and styles of meditation I do throughout my day. However, in the morning, as a very minimum, I do what I call a soul connection meditation, which is a powerful connection process, where I connect with my true self. And, what I also then do, is I also have a 20-minute meditation. So my benchmark around meditation as a minimum, is I hit those two meditations, and then what I also do, is I also have an hourly meditation process that goes, my phone alarm goes off throughout the day. And for some of the clients that are, some of my clients that are watching this, you'll know that this is a process that you've been using, and it transforms your way of being, it transforms your life. When you hit those benchmarks, you turn success into a process. How about that? When we set, and when we hit benchmarks, we've turned success, life success into a process, we've turned success into a recipe. When we can quantify, or what are the different benchmarks of excellence that we want to strive for, we can infuse this standard throughout our life, and we've now got something to aim for, we now have a target. We now have a recipe for, well, if I hit all these benchmarks during the week, I'm going to have a pretty good week. If I hit my benchmarks for sleep, for hydration, for food, for exercise, for time with family, when we define all of these benchmarks, we have a recipe for success, so we turn success into a process. Hey, Matt, good to see you here, buddy. What we're now getting into, is we're not starting to get a bit more specific. I encourage you to look at each of the different dimensions of your life. And I'd love to hear if you guys have specific benchmarks that you've already set around, maybe, time with a partner, maybe time exercising, these sorts of things. So I'd love to know what your benchmarks are. Now, you might not have officially written them down as these are my benchmarks, but maybe unconsciously, you've already carved out these elements as a habit. Maybe you've already created benchmarks in your life, but you're not even aware of it. All I'm suggesting here, is we take this a whole level, a whole lot deeper, and we start to become even more conscious about what are the benchmarks. So you can look at each dimension of your life. So, as per usual, whatever topic we're talking into, we can split this topic into all the different dimensions. So you can have benchmarks for around relationship, around finances, around health, I'll give you some examples. Benchmarks around finances could be, each week you're wanting to save a particular amount of money, or put a particular amount of money aside for a particular cause. Donate it to a charity, put it into a savings account, pay off a particular home loan. So that would be a benchmark around finances. Benchmark around health would be the amount of exercise you're getting. How many times of yoga do you do? How many times do you do yoga per week? How many times do you meditate per day, or per week? How many minutes, or how many hours of mediation? This is a process where we make the invisible visible. We're now turning mastering our life into a process. And the only way that we can do that, is to hold ourselves accountable, have conscious awareness of what are our standards. And if we don't have any standards, well, that's great, as well. Of course, that means we can now define the standards, we can create what they are. Now, when you become aware of your standards, you now have something to work with, because you can evaluate and, well, how are you doing, how your standards compare to other people. Not from a place of judgement , but I think it's great to evaluate, well, this is what I'm doing, what's everyone else doing? Can I raise my standards? Can I elevate my level of my sense of professionalism as a human being, can I elevate it, how am I doing? So, again, this is not for the purposes of comparison to judge ourselves, it's for the purpose of gathering data and information about, cool, let's hack all the information, all the other examples of people around us, to build out some pretty powerful benchmarks. You can build out benchmarks in every single dimension of your life. I recommend you also have benchmarks for things like learning, for growth. You might say, you want to tune into Chris' Transformation Tuesday once a week, as a element to supplement your personal development, and your growth. You might have a particular amount of reading, or learning, podcasts, books that you want to read per day, per week. I encourage you to split every single dimension of your life into a particular category, and then start to define and document what are the benchmarks for living a life of excellence, for living a life that's authentic? I also want to touch here on the point of excellence. Sometimes, what we can do, is we're buying into someone else's version of success, or someone else's definition of excellence. Now, for you, if for whatever reason you have limitations around your time, your money, your resources, for whatever reason, if you have limitations, and you can't live up to the highest level of excellence, i.e. perfection, then that's okay. You evaluate your life, and you say, under the circumstances and under the challenges and requirements you've currently got in your life, what is going to be sustainable? I think sustainability is a key factor here. Because you can set benchmarks of excellence across every dimension of your life, but if it's not sustainable, it becomes very, very difficult to actually keep up that motivation. As I said, if you wanted to start meditating, I do 20 minutes, I do a block of 20 minutes in the morning, every morning. Now, you don't have to hit 20 minutes. If you've only just started meditating, you don't have to strive for 20 minutes, you can aim for two minutes, right? Start from the first week of doing two minutes. Then the next week, bump it up to three minutes, then four minutes. So you progressively build up all of these standards for across all the different areas of your life. I recommend building up these standards over time. Don't necessarily go in and just max them out, and aim for the highest standard you possibly can right now. Because what it's going to lead to, typically, is it's going to lead to overwhelm. It's going to lead to you trying to do too much. So I recommend introducing these standards at a pace that's going to be sustainable. That's the key word, is sustainability. Let me know if that resonates, because, I can tell you right now, there's a lot of people out there particularly at the start of the new year, they'll set goals, and also benchmarks for themselves, that may be unrealistic, right? For example, if you've, if you don't even have a gym membership, if you don't, if you don't, if you don't, if you haven't exercised in months, and then all of a sudden it gets to the first of January, and you're now saying, right, I'm going to be doing exercise everyday, and I'm doing yoga four times a week, and I'm going to do this, I'm going to revolutionise my health and my life, that's a massive jump. You're overriding so many different habits, and so many different neurological connections, it's a strain, it's a stretch. So I recommend you introduce one new standard each week, in or around each dimension. So for example, you might pick one. You might pick health, and you say, alright, well, what's the standard around flexibility, or exercise, or nutrition? You pick one of those little sub-dimensions, and once you pick a dimension like health, you can then pick sub-dimensions. So the sub-dimensions of health would be things like sleep, nutrition, exercise, flexibility, strength, gut health. You can infinitely expand that category of health into all these infinite sub-categories. When we think about categories, when we think about standards around health, well, the good news, and maybe the bad news, depending on how you look at it, is that then, that becomes infinitely sub-divisible into all the other sub-categories, which is even more work, even more growth, even more stretch. So, I encourage you guys that are, that are, the ones that are looking to take your life to the next level, and looking to push things, I recommend starting at looking to the sub-categories. Alright, sleep, hydration, nutrition, gut health, all those types of various supplementation. Now, start to set yourself sub-standards in each of those sub-areas. So what you're deciding to build, is you're building a matrix, you're building a matrix of all the different major categories, but then all the different minor sub-categories, under each one of these. And you can set standards and benchmarks for those, as well. This becomes a really powerful process. Now, if you haven't done this process before, I definitely recommend have some compassion for yourself. Start to create awareness of, well, what are your standards, what are they? Just inquire, inquire around, do you even have standards around exercise, or nutrition, or hydration? Do you have standards around how much sleep you get? I encourage you to take a look at it, and don't judge yourself, just be aware of it, it is what it is. And then, look forward and say, right, well, what's a sustainable standard that you can start with? And then, also, keep an eye of, keep an eye out for, well, what's the ultimate standard that you're striving for? If you are the best version of you, if you're the most professional, most perfect version of you, what would that standard be? And just have awareness of that, not necessarily to set a standard of perfection, because I don't recommend doing that, because it's unattainable, but I recommend doing, is start to stretch yourself, or start to create awareness of the stretch. And when you start to create awareness of, well, where am I now, where do I want to be, you can gauge your level of awareness about how you're doing. You have a gauge point, to assess, what are my standards like? Am I striving for 100 out of 100, or are my standards kind of maybe 10 out of 100 right now? So it's kind of the same as if you go to the gym. Now, you might walk up to the bar, and you're wanting to lift maybe 20 kilos. Now, that's fine, you can start lifting whatever weight your ready to lift. However, you're actually going to consider, well, what's the weight that I'm considering striving for? Do I want to get to 100 kilos, do I want to get to 50 kilos? What's my ultimate maximum benchmark that I'm really wanting to get to? So that gives you some idea about, well, now, how do you plan for that? Maybe you then build up, add a kilo each week. If you want to lose weight, maybe you want to lose, do a certain amount of exercise each week, and then, slowly build it out. You've got to start considering what's the ultimate vision for ourself? I think that's the key question here. Now, when I say the ultimate vision, what I'm talking about here, is what's the most authentic version of us, where we're showing up as the best version of ourselves, which is not always necessarily spending all of your time in a particular area. You've got to evaluate your life, and say, well, if you're being authentic to your true self, whereabouts are you striving for excellence? Alright, whereabout, to me, if you're a parent, maybe your setting parenthood as a category of striving for excellence. Now, as a result of focusing on parenthood, maybe that means there's less time, and energy, and resources to focus on the other areas. So, naturally, the benchmarks you're going to set in other dimensions, if you're focusing on parenting, it's not going to be as high, which is okay. If you're okay with it, and if you're authentic, true self resonates with the benchmark that you've set, based on all the requirements, and all the standards, and all the commitments that you've got, that's all that matters. So again, it's important to have compassion, have compassion, that you're not going to get perf, you're not going to get perfection in every single area. It's not about perfection. It's about simply striving for growth and improvement day-by-day. I would suggest, that's the best way to approach this, strive for growth, strive for improvement. Don't compare yourself to the perfect version of you, in terms of judging yourself. Look at the most perfect version of you, and go, well, how realistic, how sustainable is that? I would suggest that's a better approach, so that you don't do overwhelm, and you don't necessarily judge yourself. A key part of this is having compassion for yourself. We're never going to be perfect. However, we need to start to explore and experiment, and test what is a sustainable standard of excellence? And I would suggest, start pushing the limit, start slowly, and then start pushing it more, and more, and more. So I'd love to know if you guys have had experiences where you've set a standard pretty high, and maybe, for a good reason, you haven't been able to sustain that. So let me know if you can relate to not wanting to set standards that are too high, because they're unsustainable. At the same time, you don't want to set standards that are too low, because what you can do, is you can kind of undershoot, and you can actually, it's kind of a bit of a cop-out. You've really got to have awareness of, well, what is that standard that you want to set, so that, you can feel like you're honouring yourself? So you can feel like, well, you're not copping out, but you're also not setting standards that are ridiculously high, you know you're not going to make them, which is perfectionism. You've got a nice middle road, which is a good starting point, and then from there, you can build on it. I also recommend you have standards around things like a career, or a business. How many hours a week do you want to work in your business, or in your career? Right, what's, now and again, you'll know this concept of work/life balance isn't necessarily relevant for everyone, at every stage in business. However, I think it's great to start to look at, well, what are the standards in business, right? When do you want to show up to work? Do you want to get to work late, or do you want to get to work early, right? Do you want to, do you want, what sort of workplace do you want? Do you want a tidy workplace, do you want a messy workplace? How frequently do you want to clean your house? Like how many hours a week do you want to work, and these sorts of things. Are you going to work on weekends? When you get home, do you want to check your emails? So these are all the sub-standards that you need to evaluate and come to a point of acceptance within yourself, around what are your standards? And there's no right, there's no wrong, there's no judgement , there's no good, there's no bad, there's just, well, what are your standards? What do you want your standards to be for your life? And that's a very, very powerful introspective topic, that is going to create a lot of awareness, and then empowerment, for you to decide what standards you want to live your life to. Same thing with maybe holidays. How many holidays do you want to treat yourself to, per year, alright? Maybe looking at self-care, what are the standards around self-care? Like, maybe, a chiropractic or massage. Well, what sorts of things do you want to treat yourself to? And then, taking care of yourself, maybe going and having a check-up with a GP once a year, if you need it. Again, looking at health, finances, career, business, relationships, education, all these dimensions are important, you've got to document it, and you've got to create a matrix, create a spreadsheet, create some kind of document that starts to quantify this whole process, and you'll find that it gets a lot easy, a lot easier. That's going to be my suggestion, as a starting point, is look at the categories, and then look at the sub-categories. This is a powerful process. Now, when you can now document your standards, and define what are those standards, you can now hold yourself accountable. You can now evaluate your performance. You can now get to the end of your week, and I definitely recommend everyone does this, is at the end of your week on a Sunday, or whenever the end of your week is, definitely do a check-in. Evaluate your benchmarks, evaluate your standards. How did I go for sleep this week? How did I go for time with relationships? How did I go for nutrition, how did I go for hydration? How did I go for working, how did I go for being present to my partner, maybe? Maybe that's a standard that you've got, of when you're having a conversation with someone, being present to them. This is a key thing, and this might just sound like a little, it's kind of a weird thing, but presence with the people around you, is one of the most important parts of being in a relationship. Because if you're not present to the person who's in front of you, then, how can you possibly show up as the best version of you? How can you, in the context of that relationship, how is that person going to know that they're loved? How does that person feel wanted? And this doesn't matter if it's an intimate relationship, but it's just friendships in general, or even just work colleagues, or your team is, when you're present to them, you're connected, and you're consciously aware of what's unfolding in that moment. So for a lot of people, they're in a conversation, and they'll checkout. Tell me if you guys can resonate. You might be speaking with someone, and then all of a sudden, you get distracted, and you're talking with them, and you're kind of nodding, and agreeing with them, but your mind has gone elsewhere. Now, that's just being completely vacant and disrespecting the communication that's unfolding. Now, we've all done it, I've done it before. And if I ever do, I catch myself at it so quickly, and I actually apologise to the person. Now, this is a real, again, another powerful benchmark around presence, you can set benchmarks around presence. When you're communicating with someone, whether it be on the phone, you're not checking, you're not checking the internet while you're on the phone with them. When someone's speaking to you, do you have your full undivided attention placed on that person, and you're totally present to them? So that's another standard, these are more, if you like, these are more softer and indistinguishable standards. You can't really quantify it, so to speak, it's more of a quality behind it. However, it's still a standard, it's still a benchmark. So I encourage you to explore some of these non-quantifiable benchmarks like a standard. Also, things like love! You can create benchmarks around love. I recommend everyone here finds out, learns about love languages. For those of you that have found out about love languages, and know what your love languages are, you'll probably already know what I mean, how powerful this is. But when you identify what your love language is, but also, the love language of your partner, you can now create benchmarks around showing love. For example, if you know that you're, your partner's love language is quality time, right, quality time, you know I will, in order for them to experience love from you, you've got to give them quality time. Now, that's just the nature of a relationship. Everyone's going to have their own unique love language. So what you know from that is, great, let's set some benchmarks around spending quality time together. Great! If we set some benchmarks around let's have regular date nights, let's create some regular meetings, let's create regular time together, that is how you're going to be able hack your relationship. You're going to generate more love, because you now have benchmarks around, great, what are we aiming for? How do we know if we've got a good quality relationship? How do we know that we're experiencing love? Benchmarks, right, what are you actually doing, how are you being? So this is where it gets really, really powerful. Hey, Joe, good to see you here, mate, I hope you're well. We're talking about benchmarks and standards. The benchmarks and standards are going to create the recipe for your success. They are going to determine how you can set up systems and structure in your life, to turn all these things into a habit. Benchmarks ultimately start out as a, an operating manual, or some sort of checklist that we're striving for. And then, after awhile, when we do them so often, and refer back to them, and every week we review them, we can actually carve out a habit. We can turn every single standard and benchmark into a habit, into an unconscious, ingrained behaviour. So that's what I definitely recommend everyone strives for, is you want to have regular, consistent check-ins, and check-in how you're doing. How are you living your standards? And are your standards standards of excellence, are they standards of mediocrity? Again, it's not from a place of judgement , it's just let's have an honest evaluation, how are our standards, how are we actually doing? This is a powerful conversation, definitely one I recommend you take a really deep, long look at, and what are your standards across all those different dimensions? And if you're in a relationship, also ask your partner, maybe they can take a look at their standards, as well. Now again, this is not from a place of judgement , this is not from a place of diminishing self, this is simply an evaluation of where are we at? It's simply a measuring stick, how are our standards, how are we doing in life? So I've given you a lot of examples of standards, I've given you a process to follow, in terms of create a template, create a spreadsheet, and start to document your standards. I've given you a process, whereby, every week you want to check-in with your standards, how did I do? So you want to measure yourself against the standards, how did I go? So I definitely recommend having a check-in process, spend at least half an hour, an hour every week checking in, how did you perform, how did you go? And it's not just evaluating yourself against your standards, but it's also just evaluating your life. And I've touched on this before, that you really want to check-in on things like, right, what sort of emotions did I have this week? Was I experiencing fear, anxiety, or stress? Was I experiencing joy, and fulfilment? What was I experiencing? What were the limitations I experienced this week? What were the limiting beliefs, what were the fears? What were the conflicts that I had? Where was I not connected? Where was my ego running the show? All those kind of things, all those sorts of questions, as well, are really powerful. And so, if you bundle this up into your weekly review, you can create a really powerful self-assessment process that happens every single week. I also have a sub-process that I do every single day, in terms of journaling. So I'm going to give you guys a whole nother Facebook Live on the process of journaling, morning rituals, a lot of other things, and mostly we're going to do around on how to discover your purpose, and how to live your purpose. There's so much more than this, as you can imagine, there's a lot of different pillars, there's a lot of different concepts, and they're all tying together, they're all connected. So I'm just giving you snippets of this now, and then, next week, or next class, you'll figure out how do I blend that with that, how do I mix those things together? And it all comes together in this beautiful tapestry. All these components of life mastery, they all come together in the most amazing way. And every single week it builds upon the last concept, so it strengthens, it builds, it's like a big snowball. When you start applying each of these concepts, can more or consistently, you will find all the different dimensions of life start falling in place. That was standards, that was benchmarks. Thanks, Dora. I'm glad to support that, to share what I can. So that was benchmarks and standards, guys. Please, trust me, this is a powerful, this is a powerful process, that will transform your way of being. It will transform the way that you think about everything. And I encourage you to create standards around everything. And again, the most important thing here, is don't judge yourself. Have compassion for yourself. Don't strive for perfection, it's not attainable, it's not sustainable, it's unrealistic. Start by setting realistic, achievable standards, and then build them, start to push the limit. I'll leave you with that, guys. Thank you, for tuning in. Happy Transformation Tuesday, and I'll see you again next week. Thanks, again, I look forward to seeing you guys soon. Bye, for now. HAVE YOU CREATED YOUR LIFE PHILOSOPHY STATEMENT YET? ARE YOU LIVING YOUR LIFE IN ALIGNMENT? I approached Chris Jackson because I have long been interested in learning more about NLP and because I was drawn to his style of delivering quality information. Chris helped me by breaking complex information down into easy to understand segments, that became very practical to apply. The result was that I was able to immediately use my NLP training to transform areas of my own life as well as the lives of my coaching clients. A few things I liked was his attention to detail, and his passion for the subject and developing others to live their best lives. I found the experience to be transformational, inspiring and of significant value. I would recommend Chris and his training to anyone looking to develop themselves in any area of their life or business, but especially professional coaches looking for an extra tool to maximise their results with clients. Thank you Chris! You’re awesome. 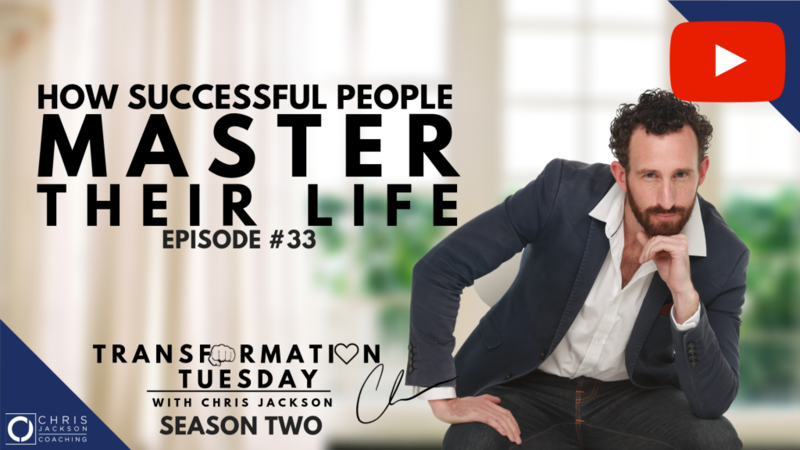 Chris Jackson is one the most authentic business & life coaches that I have ever met. He has helped me personally grow my own business to new levels and deal with personal day to day life issues that were holding me back. Chris is helpful, understanding, listens carefully and focused on your success. I can highly recommend his services. Having initially met Chris at a Tony Robbin’s event I was inspired by his passion for coaching and having an impact on the people in his life. Having worked with him since, Chris has been instrumental in enabling me and my team to get clear on our business objectives, while facilitating discussions on our core values and culture. Additionally, Chris also provided my team with the tools and techniques they can use to increase their productivity, both in work and life. I have no hesitation at all in recommending Chris, as he is extremely knowledgeable in his field and is passionate about helping his clients achieving their goals! Thanks for all your support Chris.